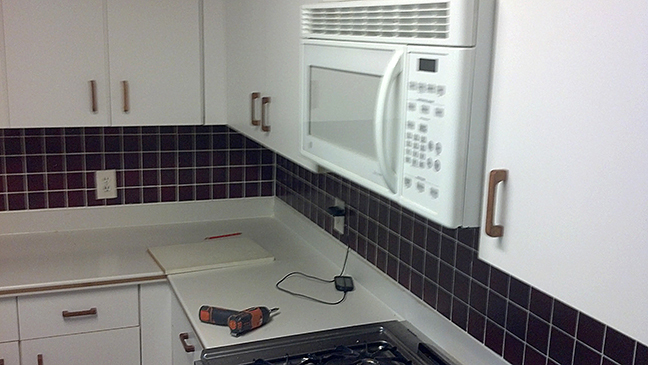 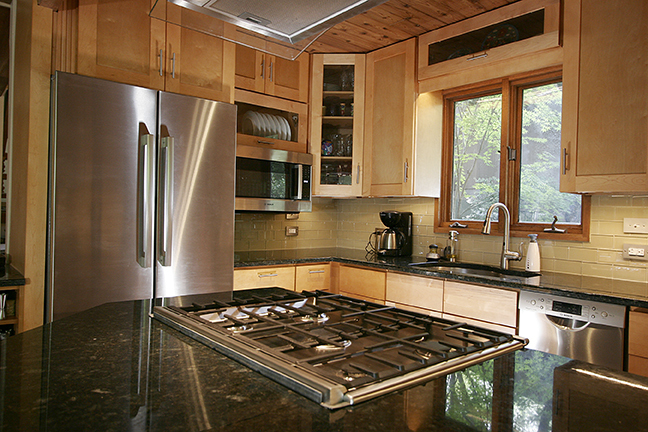 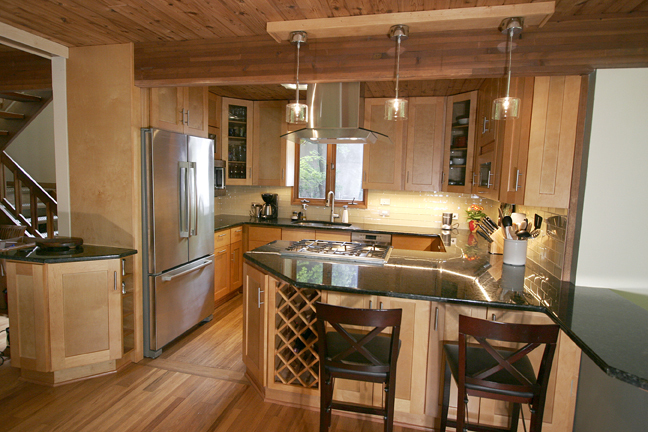 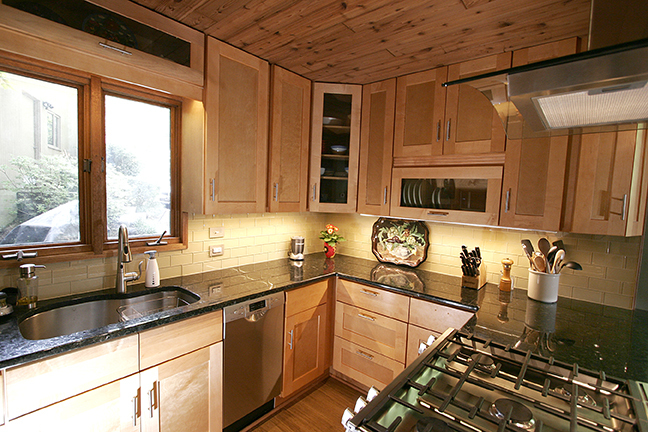 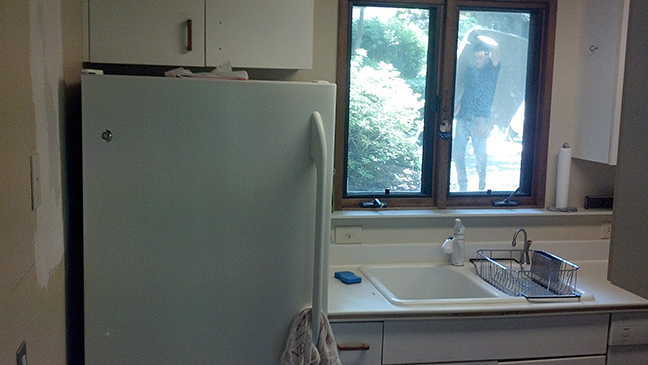 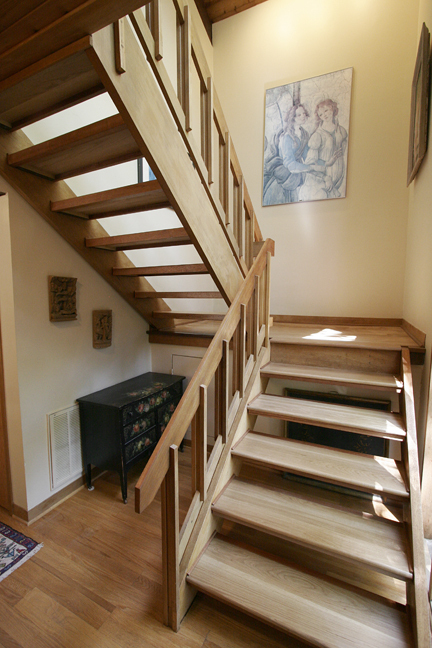 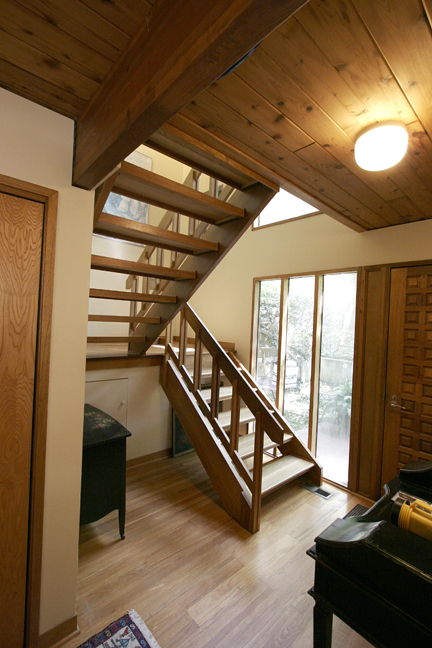 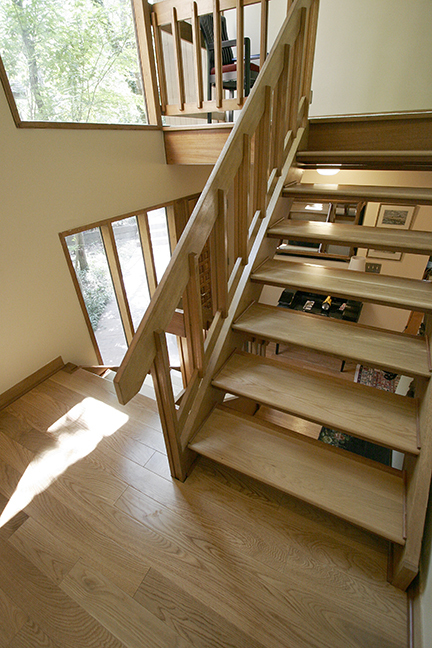 Before this full kitchen expansion/remodel our clients had a very tight, roughly 92 sq./ft. 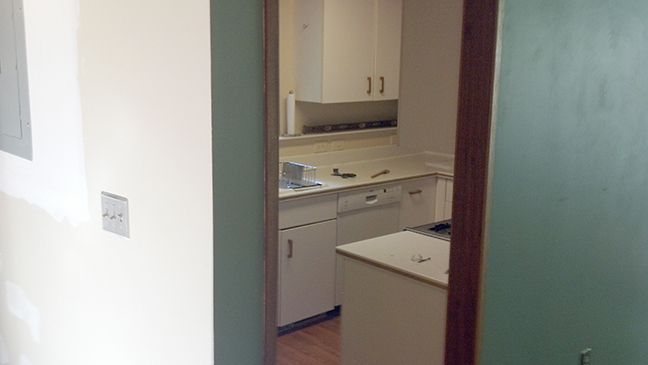 galley kitchen with a standard size door opening at the far left and a single window in the facing wall. 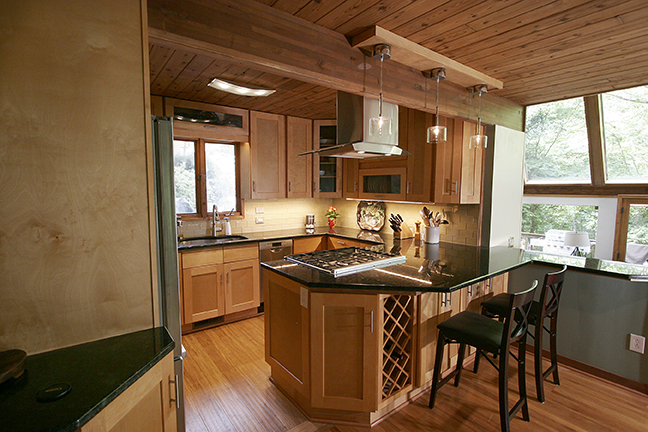 The kitchen couldn’t accommodate more than one person comfortably and felt a little dated and dark, even with a large overhead fluorescent fixture. 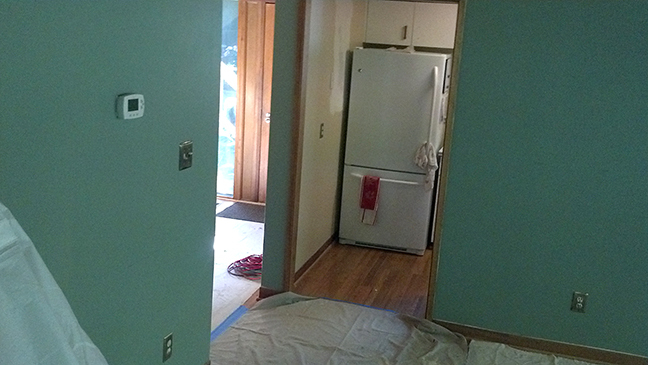 To begin, we doubled the size of the entry into the whole dining room/kitchen area by taking out 3’ of the entryway wall, opening up the space to the rest of the house. 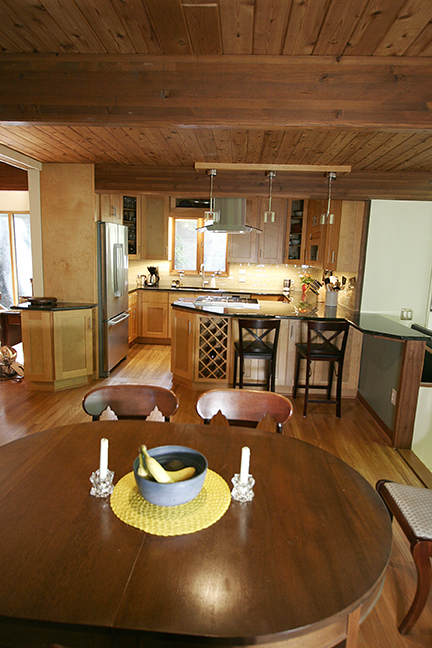 We (SWD) knocked out the wall facing the dining room and expanded the kitchen by about 30 sq./ft by moving the stairs to the living room to the right and adding a 2-sided functional peninsula (complete with a range and wine racks) in place of the wall. 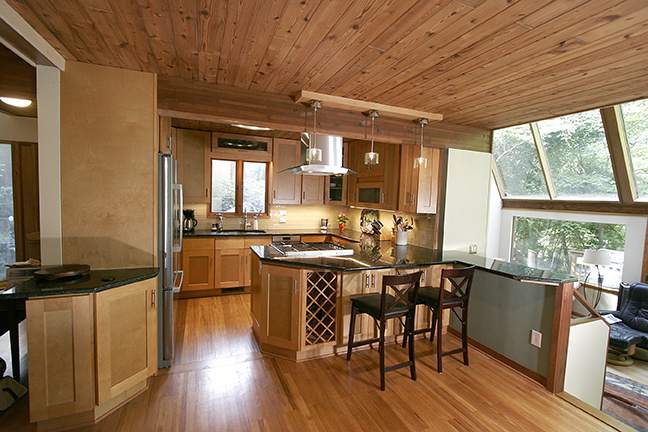 One end of the peninsula T’s into a counter facing the gorgeous living room view of the surrounding woods. 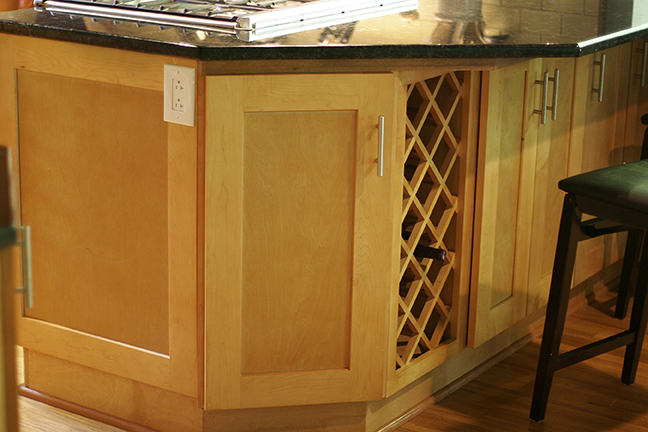 We stretched our design skills to the max to create a design with a significant amount of additional storage cabinets and more conveniently placed all-new appliances, while keeping a very open feel. 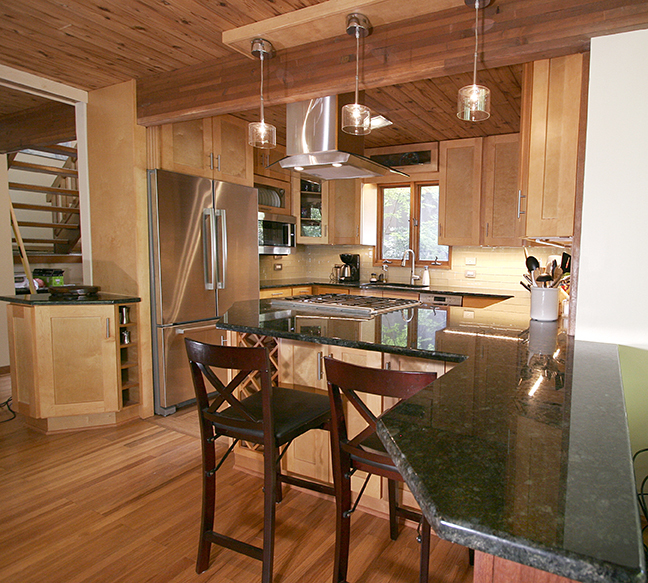 The natural shaker vertical and stacked horizontal cabinets are contrasted with the dark Verde Peacock granite countertops creating a modern and clean, yet timeless look. 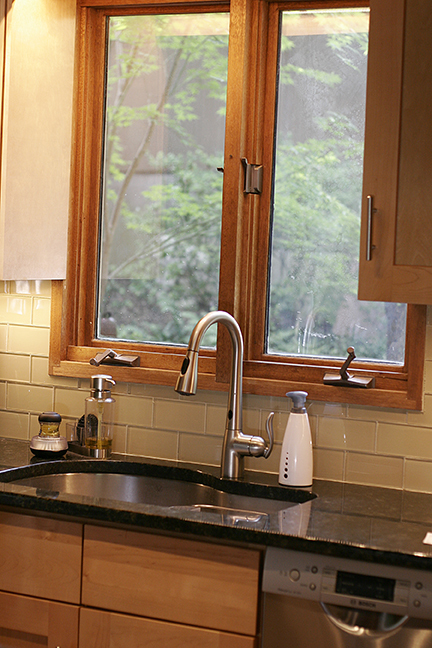 The continuous back splash of khaki glass subway tiles tie the soft and hard elements together. 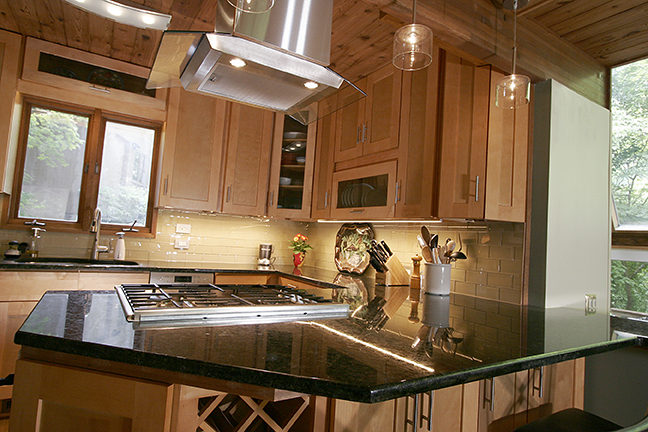 We replaced the dated fluorescent overhead light with an energy efficient LED whose curved glass and stainless steel elements mimic the range hood, and added super-slim dimmable under counter LED lighting. 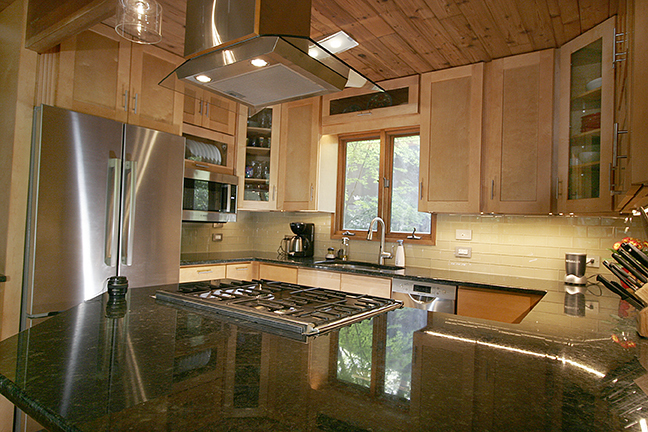 This kitchen now provides our clients with maximum function and style from a size-challenged space.